Every blogger is in search of one hot commodity. Readers! 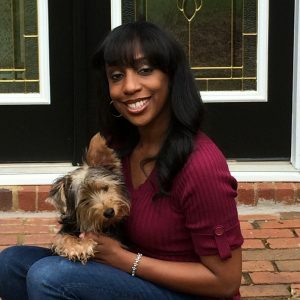 Whether you are blogging as a hobby or to make a part-time or full-time income, your goal is to connect your content with those who want to read it. This brings us to the topic of SEO Basics. There are multiple ways for you to manually promote your blog. However, optimizing your blog so that people interested in your topic can find you is the best way to share your content with the largest amount of readers. Getting this type of “Organic” traffic can be achieved by optimizing your blog content for search engines. This technique is called Search Engine Optimization or SEO. 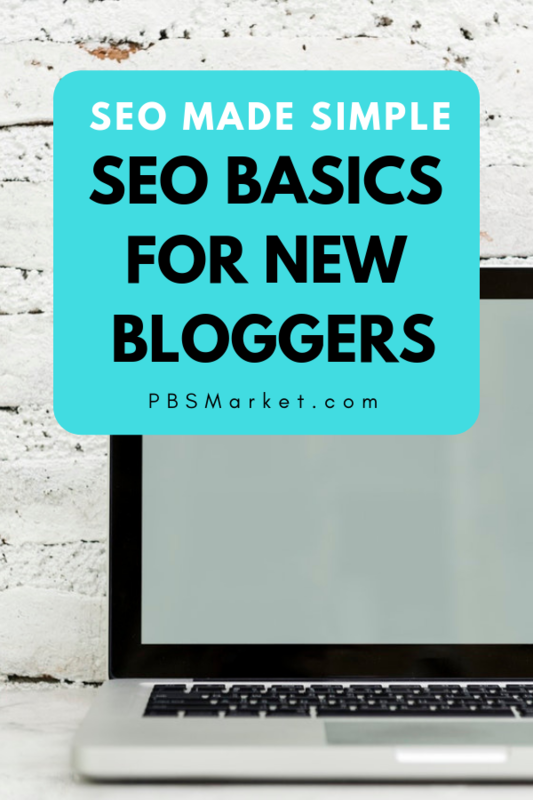 In this blog post, I’m going to discuss the SEO Basics that every new blogger should learn. This post is designed to be SEO for beginners. It will cover all of the basics of SEO. 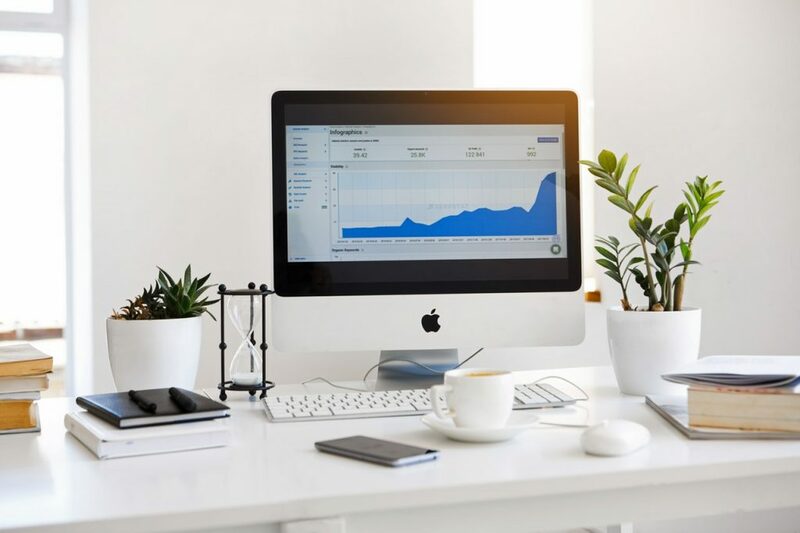 Once you understand and implement the foundational concepts of SEO, you will be equipped to move forward into more advanced SEO topics to take your organic search reach to the next level. This post will cover a lot of information that might seem overwhelming at first. I suggest bookmarking or saving this post so that you can come back to it as you implement each stage of your basic SEO strategy. 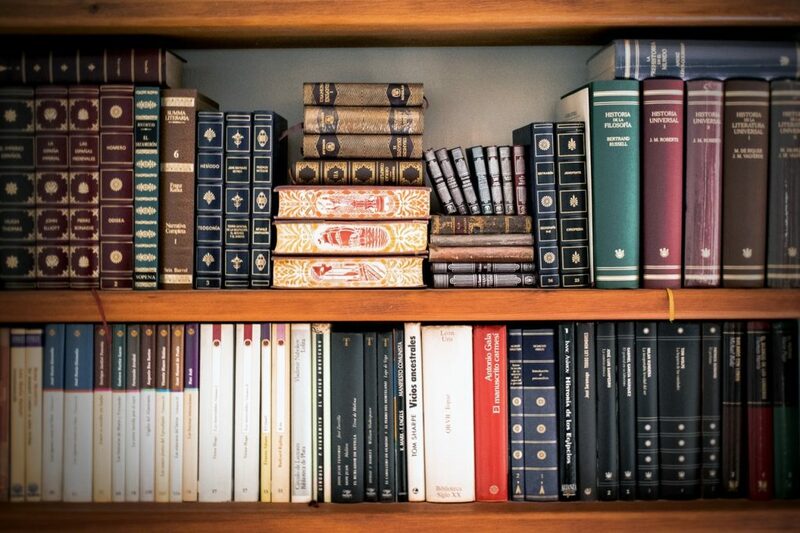 I’ll highlight links to advanced topics that you should move on to after you have completed the basics. If you familiar with the content here on PBS Market, you know that I like to provide actionable content. At the end of this post, I’ll provide you with an Action Plan, that will guide you through creating a sturdy SEO foundation for your blog. Why do Bloggers Care about SEO? Chances are you use a search engine every time you access the internet. The most popular search engines include Google, Yahoo, and Bing. They can be accessed via a desktop computer, laptop, or smartphone. Search engines are designed to help you find the information you are looking for on the internet. You will notice that I will focus mainly on Google when referring to search engines in this post. This is because Google dominates the search engine market share. As of 2017 Google holds 75% of the desktop/laptop market share and 90% of the mobile market share for search engines. 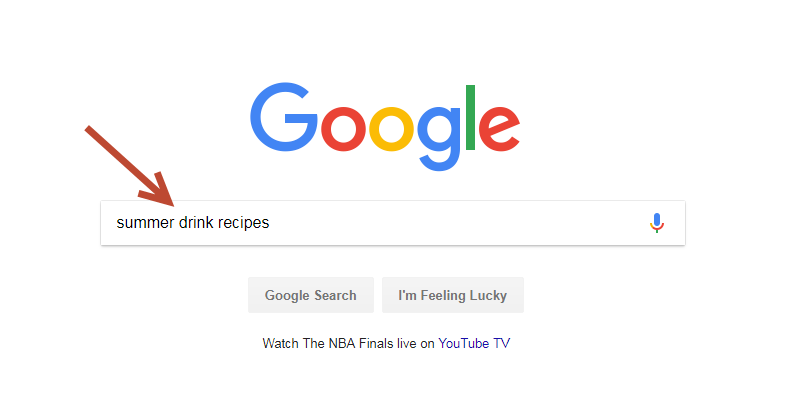 If you are looking for information on summer drink recipes, you would enter the keywords “summer drink recipes” into Google and do a search. 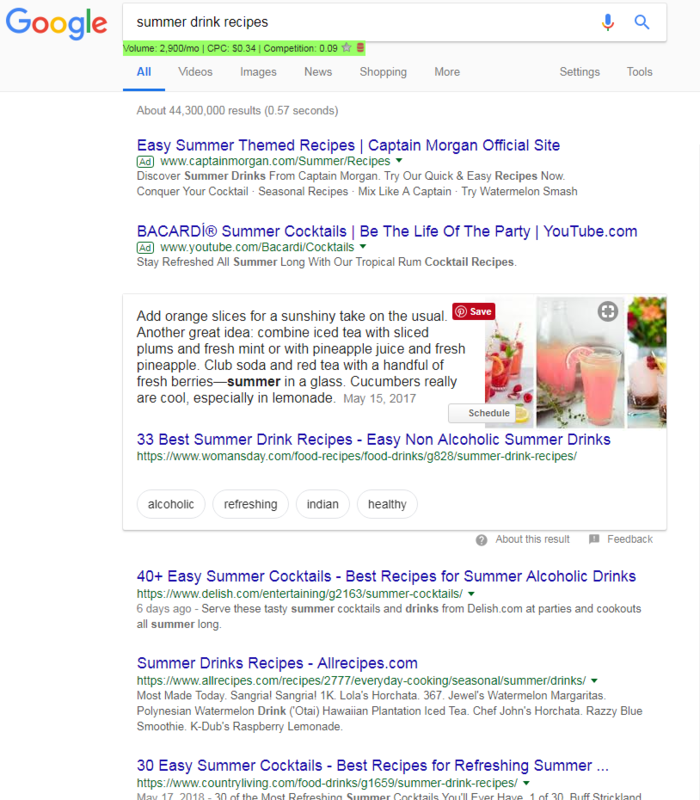 Google will return a listing of search engine results pages (SERPs) relating to the keywords “summer drink recipes”. Search engines generate search engine result pages using a formula or algorithm. Each search engine’s algorithm is different but they share certain commonalities. If you want your blog posts to appear in search engine results you must understand how their algorithms work. Lucky for us many experts have studied search engine algorithms and have derived both basic and advanced SEO techniques. Fact: Google has over 200 Ranking Factors in their algorithm. So what exactly is search engine optimization? 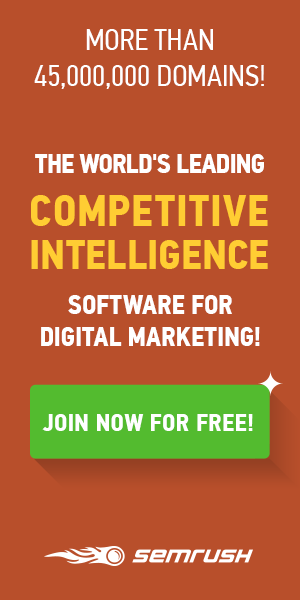 Simply put, it is the process of getting free traffic from search engines. By implementing certain techniques you can make your blog pages show up in the search engine results pages when users search for specific keywords. Let’s say you have a blog post that lists recipes for summer drinks. You would want your blog post to show up in the search results presented by Google. By using SEO techniques you could optimize your blog post so that it appears on Google… preferably on the first page of results. At this point, it should be plainly clear why you as a blogger would care about SEO. SEO can help you get tons of free traffic to your blog posts. 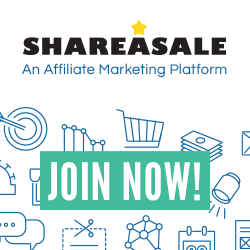 This means more people reading your content, and more money if your blog is monetized. Having your blog appear in Google is great, but it is also important “where” you appear. Think about the last time you searched for a topic in your favorite search engine. Which results did you click on? How many pages or search engine results did you browse through? On average most search engine users only click on the top 5 search engine results. Almost 95% of search engine traffic goes to sites on the first page of results. This means that in order for your blog post to get the most amount of traffic it must appear in the top 10 search engine results. Here are another 23 Facts that you should know about search engines as a blogger. An important aspect of your SEO strategy will entail targeting the right keywords. When writing a blog post you should determine ahead of time the keywords you would like your post to rank for on Google. If increasing traffic to your blog is a top goal, you should choose your blog post topics based on the amount of traffic you can bring to your site with a targeted keyword. This means that through keyword research you would choose a keyword first, and then write your blog post about that keyword. There are various tools available for keyword research. Some are free while others required a paid subscription. Each tool is designed to help you choose keywords for your blog posts that will allow your post to appear in search engine results pages. Keyword research can be a simple as finding a keyword that search engine users are known to search for or as complex as determining the best keyword to use based on keyword difficulty, search volume, and competition. On-page SEO optimization consists of making changes to your individual blog posts to increase your ability to rank well in search engines. It focuses specifically on your blog posts content and its HTML (or backend code). The title of your blog post is very important when it comes to on-page SEO. Your title should include your main keyword. Also, the closer your keyword is to the beginning of your title the better. Example: My focus keyword from this post is “SEO Basics”. I have used this keyword at the beginning of the title of this blog post. The URL for your blog post should be SEO friendly. It should not be excessively long and should contain your focus keyword. Example: The URL for this blog post simply contains my focus keyword. If you are using WordPress, getting an SEO friendly URL structure for your blog is easy. Take a look at the following short video tutorial. Adding headings to your blog posts not only make them visually appealing, they are important to on-page SEO. 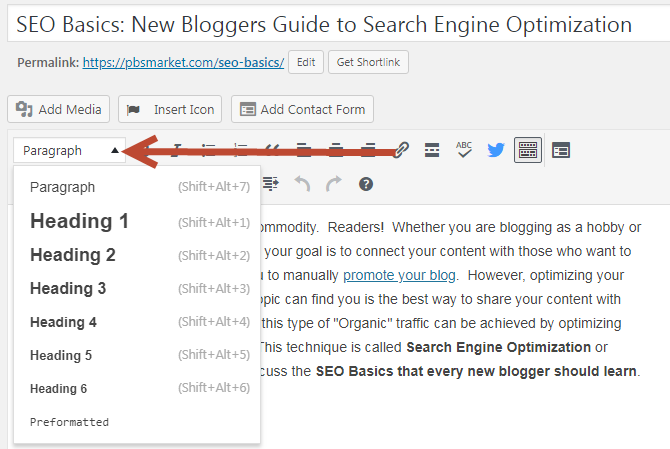 Heading tags help search engines determine the main topics in your blog post. It is a good best practice to add your blog post title as an H1 heading in your post. Each blog post should contain only one H1 heading. Next, use multiple H2 headings throughout your post to point out main ideas. Your main keyword should be included in at least one of your H2 headings. I also like to include keyword variations, and questions about my main topic as H2 headings as well. The look and feel of your H1 and H2 tags will vary based on your theme. Here is how the H1 tag looks on PBS Market. 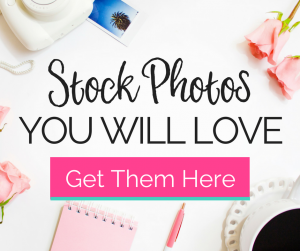 Images are another aspect of your blog post that should be optimized. Image names should include a descriptive keyword. Also, the Alt Tag for each image should include a keyword-rich description. Example: In the Add Media dialog in WordPress you can see the name of the image file as well as set the Alt Tex for your image. Each contains my target keyword. Keyword usage is often misunderstood. When starting out as a new blogger and learning that you need to include keywords in your posts, it’s easy to conclude that you should stuff your blog post with your targeted keyword as much as possible. Search engines have evolved to a place where they are smart enough to know what your blog post is about without using a keyword repetitively. Most of the number one SERPs rank for keywords that are mentioned only once in their content. Utilizing your target keyword in your title, URL, and heading tags provide search engines with enough information to know the keyword you are targeting. Your content should contain enough information and keyword synonyms (or LSI Keywords) to convince the search engines that your contents clearly talks about your targeted keywords. Internal links are important because they establish site architecture and spread link equity. They guide search engines to discover other pages of your blog. Each of your blog posts should include at least one link to another one of your blog posts. The linked text should be a keyword that your other blog posts is designed to rank for. The number of words in your blog post does play a role in how well your post will rank in Google. When trying to determine which content is better, Google has been known to favor the content which is longer as it tends to be more informative. There is no magic word count that will get you a top ranking on Google. A good best practice is to search for the keyword you are trying to rank for on Google. Check the word count of the top SERP. Your blog post should be longer and more informative. Helpful Tip: SEO tools such as Ahrefs, SEMRush, and others provide you the word count of the top ranking posts for any keyword search. Outbound links are links to other sites. They are another factor that helps Google determine what your blog post is about. Linking to other blogs and high authority sites ad value to your topic. It basically shows that you have done your research. Schema markups are not exactly a basic SEO topic, however, I felt that it at least deserved an introduction. 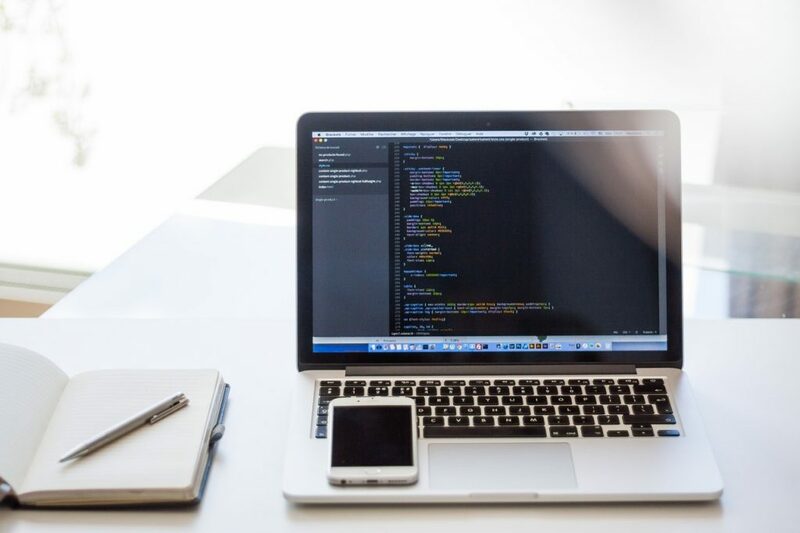 A schema markup is a code that you can add to your blog post that tells search engines more information about your post. Schema markups add deeper meanings to your content and will help different types of content rank better. Page speed has been a Google ranking factor for desktops since 2010. It is important as it measures your visitor’s experience when they access your blog. If a visitor to your blog experiences a delay in page load time, they are more likely to leave your site. Page speed is growing in importance. In July 2018, page speed will become a ranking factor in mobile search. Choosing the right hosting company for your blog is very important to your SEO strategy. 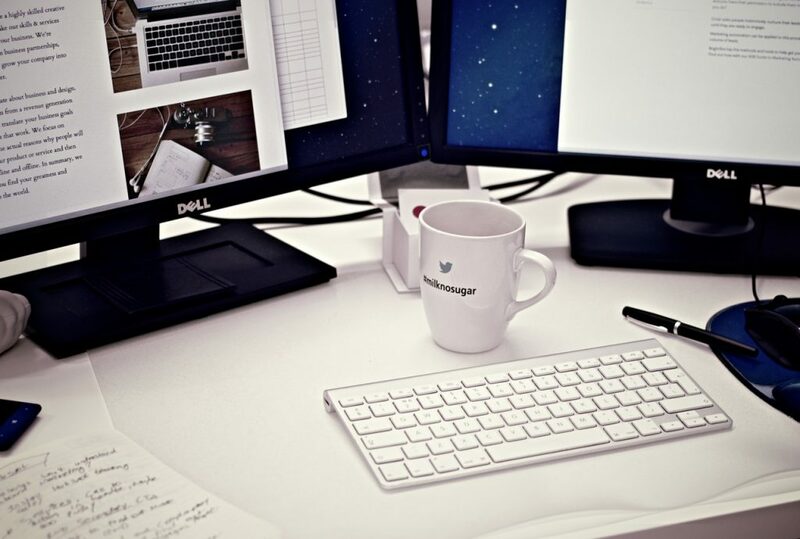 Your blog should be hosted by a hosting company that provides the best page speed. My recommended hosting company is SiteGround, as they have excellent servers that provide the best page speeds, and top notch customer service. The Industry average loading time is 4.7 seconds. SiteGround’s page load time is 1.7 seconds without cache and 1.3 seconds with cache. Super Fast! 58% of all searches done in Google are performed from a mobile device. This means that your blog is most likely to be viewed from a smartphone. Due to this fact, Google has made it important that your site is optimized for mobile devices. Choosing a responsive theme is the easiest way to ensure that your blog is mobile optimized. There are also plug-ins like Amp that will ensure that your readers have the best mobile experience. Helpful Resource: Use this On-page SEO infographic from Backlinko as a checklist while creating your blog posts. Off-page SEO optimization consists of changing things that affect your pages ability to rank in search engines that are not directly on your blog. This type of optimization mainly consists of influencing things like your blogs authority, relevance, and trust. Each of these attributes is directly related to the links that point to your site from other sources. These links are called “backlinks”. Backlinks are a major component of your off-page SEO strategy. They are one of the primary ranking factors used by Google. The number of links to your blog and individual blog posts tells Google how popular your content is. Think of backlinks as being similar to likes on Instagram or Facebook. If you run across a photo on Instagram with thousands or likes you instantly know that the poster is popular in their niche. Search engines measure authority by evaluating the content of your blog post and the backlinks pointing to your blog post. They are smart enough to evaluate your post to determine how deeply you have covered your topic. They then look to see if others look at you as an authority on the topic by seeing if other pages have linked to your content. It is not enough to have just any type of backlink pointing to your post. Search engines determine if the links that are pointing from pages have a relevance to your post. You’ll notice that in this post there are links to third party sites that have high authority on the topic SEO. The concept of trust centers around people’s desire to link to your content. This is not a metric that is solidly measurable. It is more about how people feel about you and your brand. Your goal as a blogger should be to write content that people value and see you as an authority on that topic. 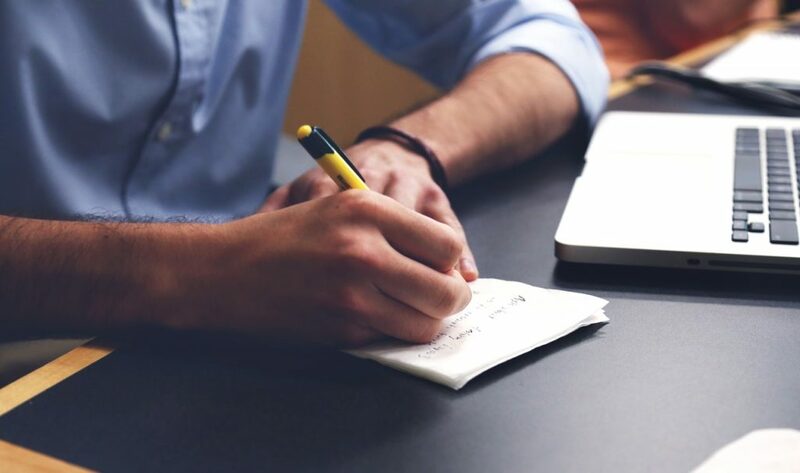 They will then reference your blog posts when they write similar content. This reference, or backlink, will then aid you in getting better rankings in search engines. Being active on social media, guest posting on other blogs, commenting on other blogs, and being active in your niche’s community are all ways to help you build trust. Once you start focusing on SEO optimization on your blog it is vital that you track your progress. After all, how will you know if you are improving? Start off by determining where your blog and individual blog posts currently rank in Google. You can do this by using Google Webmaster tools. You should also determine the keywords you are currently ranking for as well as your current backlinks. These are also items you can find in the search console of Google Webmaster tools. Once you start implementing the SEO basics discussed in this post, you can check search console to see if you are improving. Progress would consist of higher rankings in Google, posts ranking for more keywords in lower positions (your goal is position #1), and more backlinks. Pro Tip: Tools like SEMrush and Ahrefs can help you easily track the progress of your SEO Strategy. 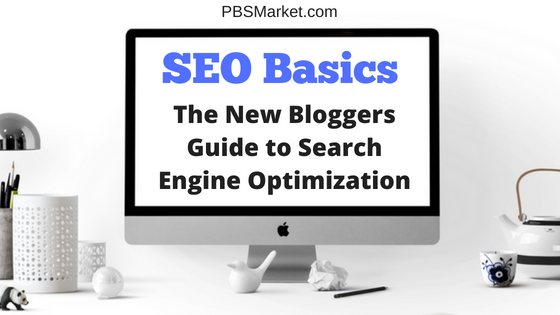 You’ve been introduced to a lot of SEO Basics in this post. Now, it’s time to put them into action. 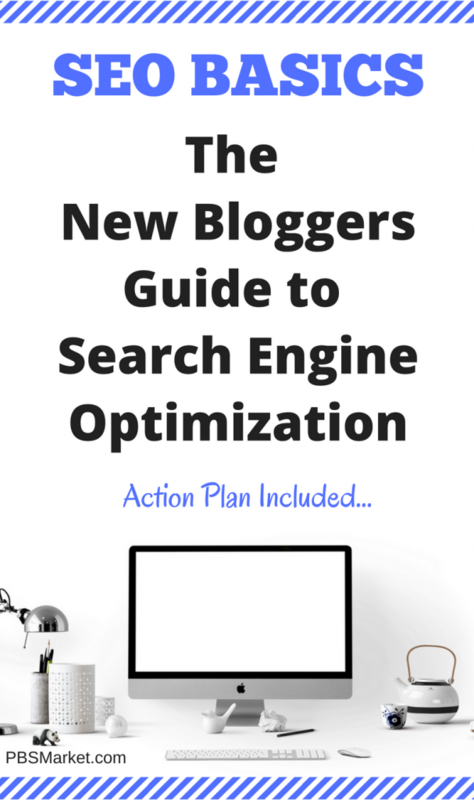 The action plan below assumes you have already set up your blog. 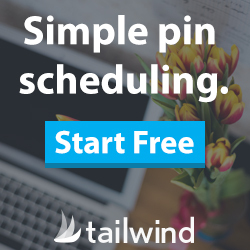 Saving this post will allow you to stop here and sign up for my free email course that will help you set up your blog in as little as 5 days. In this course, I will guide you through choosing your blog topic all the way through writing your first post. Note: If your blog is new and you have no posts, utilize the tips that were covered in this post as you create your blog content. Step 1: Determine the content that you would like to optimize first. This should be the posts that you would like to drive the most traffic to initially. I recommend starting slowly with 1 – 3 posts. Step 2: Utilize one of the SEO tools discussed above in the “Track Your SEO Progress” section to see how your selected posts currently ranking. Be sure to note the current keywords you are ranking for, backlinks, and your post’s position in Google. Step 3: Using each of the main topics in this post, make the appropriate changes to your selected blog posts and republish. Step 4: Get Backlinks – Reach out to their bloggers with relevant content to see if they are willing to give you a backlink. You can also look for opportunities to Guest Post on other blogs. This is a great way to gain authority and solid backlinks. Step 5: Track your progress weekly. Step 6: Start again from Step 1 by choosing your next set of posts to optimize. Important Note: SEO is a marathon and not a sprint. Getting your site to rank in search engines can be a long process. Don’t get discouraged if it doesn’t happen overnight. Keep optimizing and gaining backlinks and you will make progress. Have you started an SEO strategy on your blog? Tell us how it’s going. 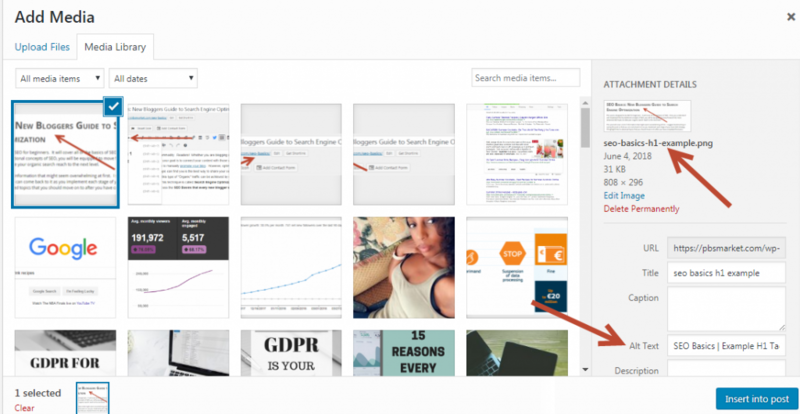 Previous Post: GDPR for Bloggers: Is Your Blog Compliant? Thank you so much for this! As a new blogger I am often overwhelmed by all of the lingo I don’t understand. This is a great reference point for me, thank you! You’re welcome Jubilee! The topic can be quite overwhelming. I learn something new about SEO daily. This is such a useful post! SEO has always confused me since day 1, so your post has really helped clarify some questions I had. Thank you so much for this! Thanks Lesley! It’s so much information to digest when it comes to SEO. I hope this post helps. Organic traffic is a godsend. I enjoy having fresh, new readers who authentically like and appreciate what I write and am passionate about. Using SEO is a very useful tool to help utilize honest growth and also nudge the right viewers in our direction. So very true Angelle. Organic traffic ensures a steady flow of targeted visitors. What a fantastic guide. I know SEO was very overwhelming for me as a new blogger. I have started to get the hang of it, but I am still struggling to drive organic search traffic from Google. I look at SEO as a continuous journey. I’ve also learned that good quality backlinks are so important. Thank you for this post! Since I’m a new blogger it can be a little confusing on how to get your posts out to your audience. I will definitely be using some of these tips. You’re welcome Caylin. Just take your time and start with the basics. This is awesome! I really didn’t understand SEO before. I have the yoast plugin, and TRY to make sure it says my SEO is good. Usually if I’m happy with my post, but the SEO isn’t where it should be.. I post anyways. Now, I won ‘t. Thanks Samantha! The Yoast plugin is a good starting point. I use it as well. It’s just something comforting about it giving you the green light lol. Hopefully this post helps you understand why you’re getting that green light and helps you expand a little more. Thanks so much for this article; SEO has always been such a mystery to me, this article made it all a little more clear! You’re welcome Linda. Glad I could help. This is a great post for bloggers. I am a newbie blogger and trying to grow my audience. SEO tips would really help out! Thank you very much for a very well explained post. Still learning more about SEO. I am a brand new blogger and still trying to figure out the next move. Any extra help is greatly appreciated, thanks for sharing. You’re welcome Kayla. I hope this post made the topic a little clearer. Hi Nicole! Thank you so much for sharing. You are not alone with your SEO struggles. I’m glad I was able to make things a little clearer. Stay tuned for more SEO related posts. My goal is to go beyond the basics to break SEO down and release the struggle. My advice is to make sure that your content is unique. Search engines like unique content, which is great for getting traffic. Great advice Heather! Duplicate content is a big no no for search engines. This is a comprehensive post covering so many aspects. Loved all the information in one place. Really Helpful And Informative Blog For Someone Who Doesn’t Have Strong SEO Knowledge.